A tasty tiffin as well as breakfast recipe. Really easy and fast to make. Consumes very less amount of time and yes kids will love it. 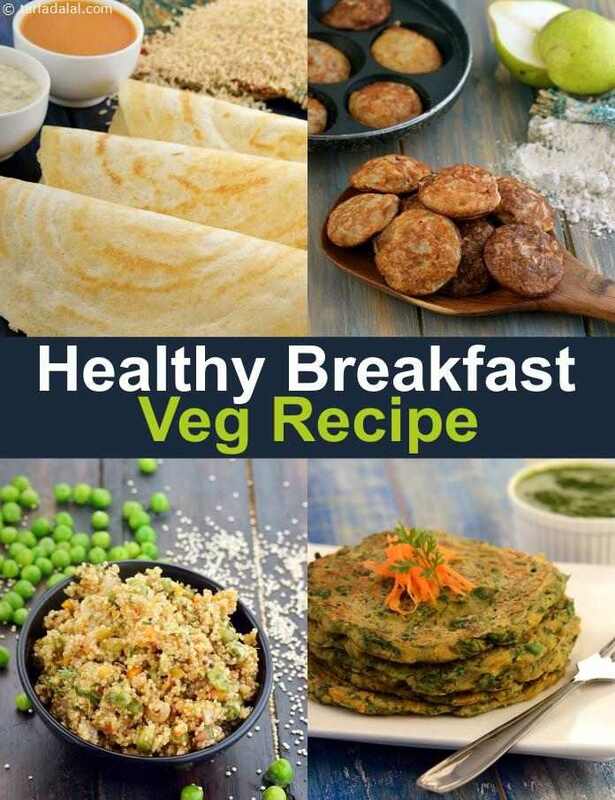 A filling fibre rich healthy breakfast option! Try to make this as close to the serving time possible to enjoy the freshness! Low in fats, healthy for all age groups. Raw bananas are very healthy as they are very low in saturated fats, cholesterol and sodium. They are also rich in fibre, vitamin c, potassium etc. It also contains good amounts of health benefiting anti-oxidants, minerals, and vitamins. Rice and Dal pancakes made with rice and a combination 3 dals are very tasty and high on protein. Have it for breakfast or evening snack. Whole green gram roti, this is indeed a unique roti.